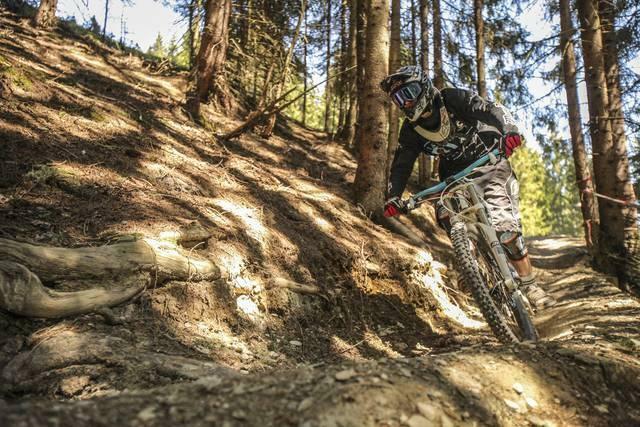 This is the premiere mountain biking destination in Austria, complete with hundreds of miles of cross country trails, freeride/downhill trails, and great lift access. There are guides available to show you the trails, and more riding than you can probably do in a month! Review: Just got back from a weeks riding in Saalbach. Brilliant riding with excellent facilities. Free use of the lift system with the the joker card which we obtained as a guest of the hotel. Trails well maintained and varying in technical difficulty. Something for everyone. Stayed at Pension Enzian and would reccommend it for any biker, relaxed and v. helpful. Recommend Bergstadl trail technical and stunning trail from Westgipfel down to the Bergstadl alm which serves great food with even better views. Bike Circus Saalbach Hinterglemm MTB Trail 5.00 out of 5 based on 2 ratings. 2 user reviews.